Extending a full 30″ long to reach high ceiling fans, sky lights, moldings and more, these telescoping mini dusters also clean tight spaces behind the fridge, beneath the oven, between cabinets and more. Bright pink or blue chenille heads attract dust and dirt without scratching home surfaces—conveniently machine washing and ready to work again and again. 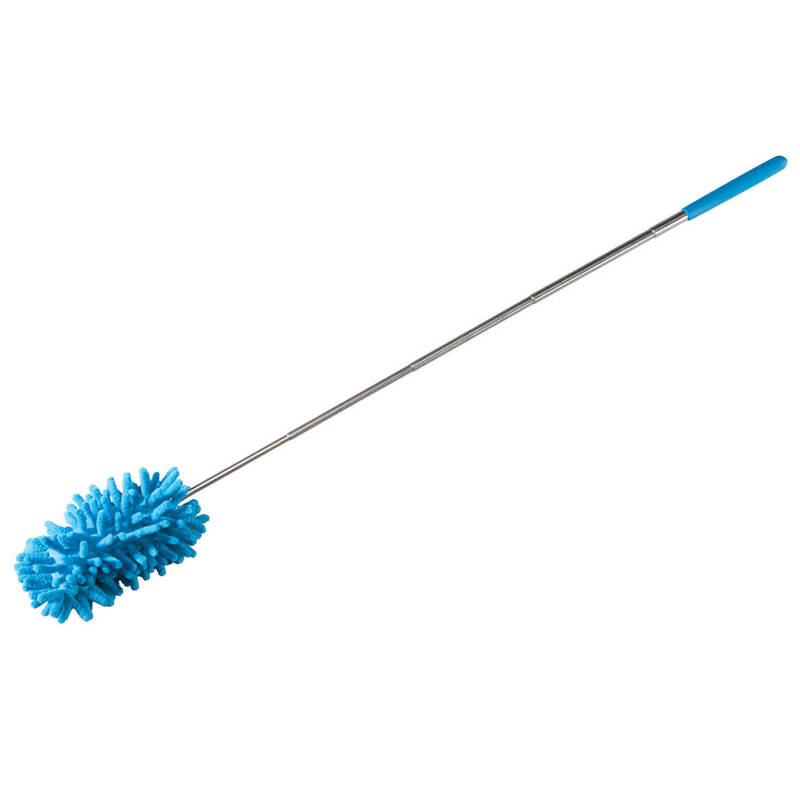 Sturdy stainless steel extendable dusters feature comfy-grip rubber ends, easily extending from 11 1/4″ long to 30″ long. Removable dusting heads are 3″ wide x 3″ high. Set of 2 fan dusters. 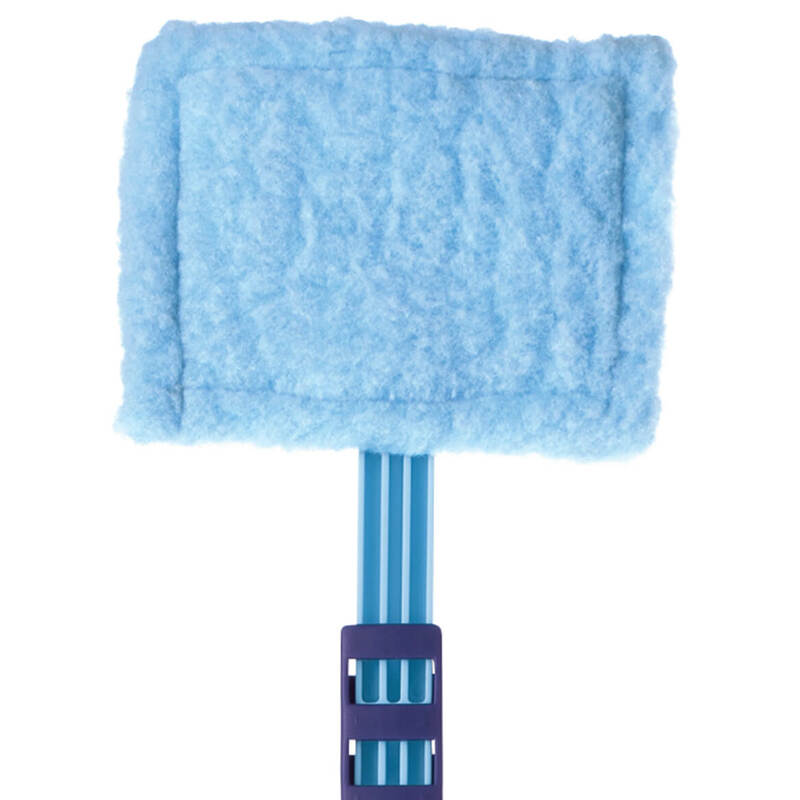 Designed to fit the microfiber flexible mop (sold separately), this soft microfiber dry mop pad attracts dirt like a magnet—flexing into corners and covering entire baseboards in one easy motion. It picks up dust and pet hair when dry, removes scuff marks, grease and spills when wet, then removes for easy machine washing. 14 1/2″ long x 3 1/2″ wide. 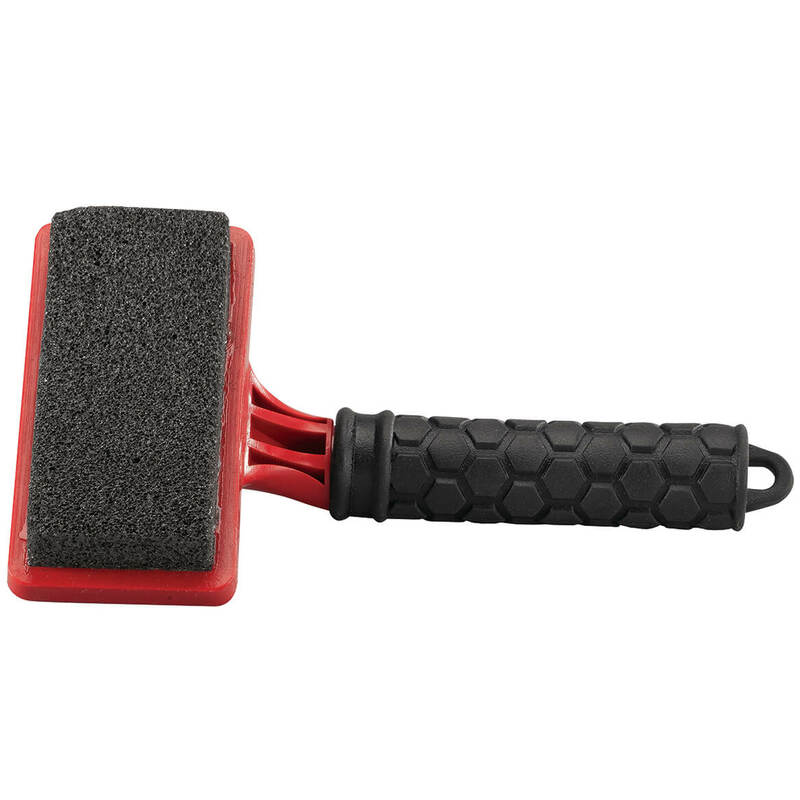 Whether scouring on its own or used with our telescoping scrubber, this telescoping scrubber refill head helps your bathroom sparkle with less effort. 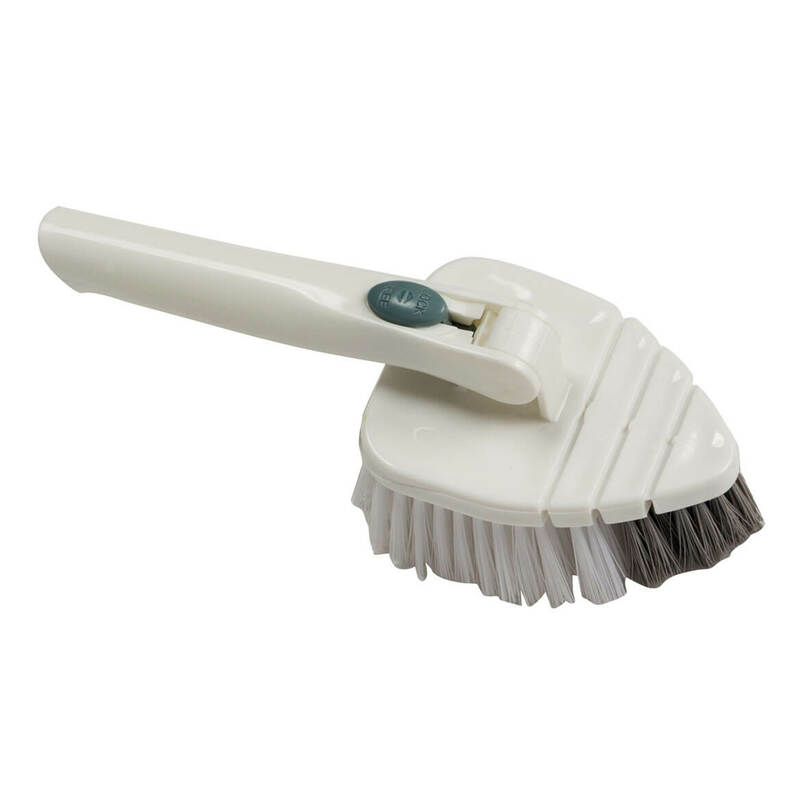 Durable tub scrubber brush head features its own short handle and a pointed tip to easily reach into corners. Attach it to the adjustable metal pole (sold separately) to easily reach from floor to ceiling. 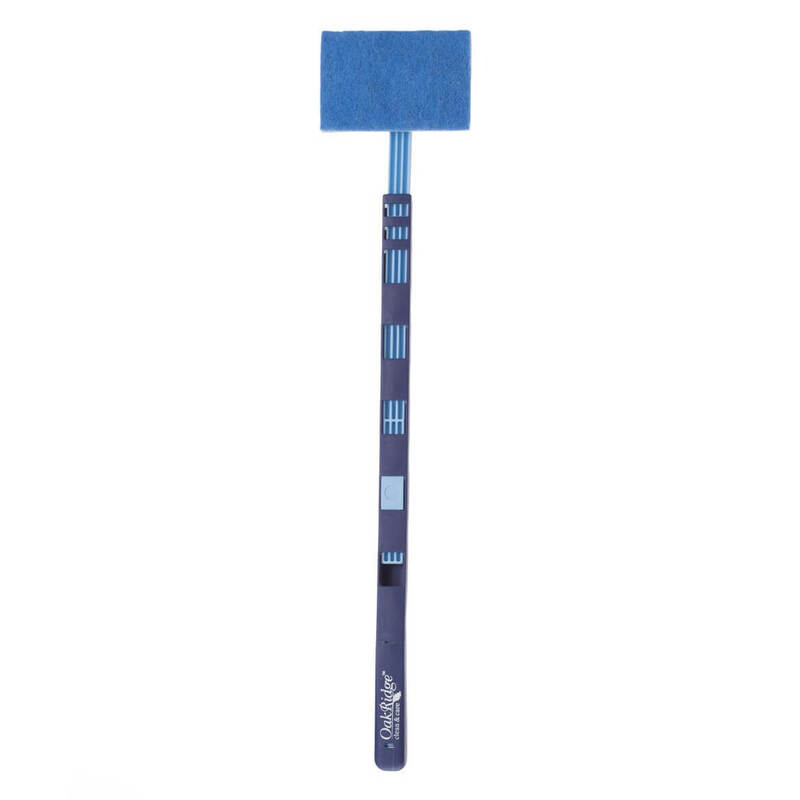 Brush head is 5″ long x 3 3/4″ wide with 1 1/4″ long bristles. Tub cleaner made with durable plastic. Imported. Telescoping scrubber sold separately. Make your bathroom sparkle from floor to ceiling in less time! 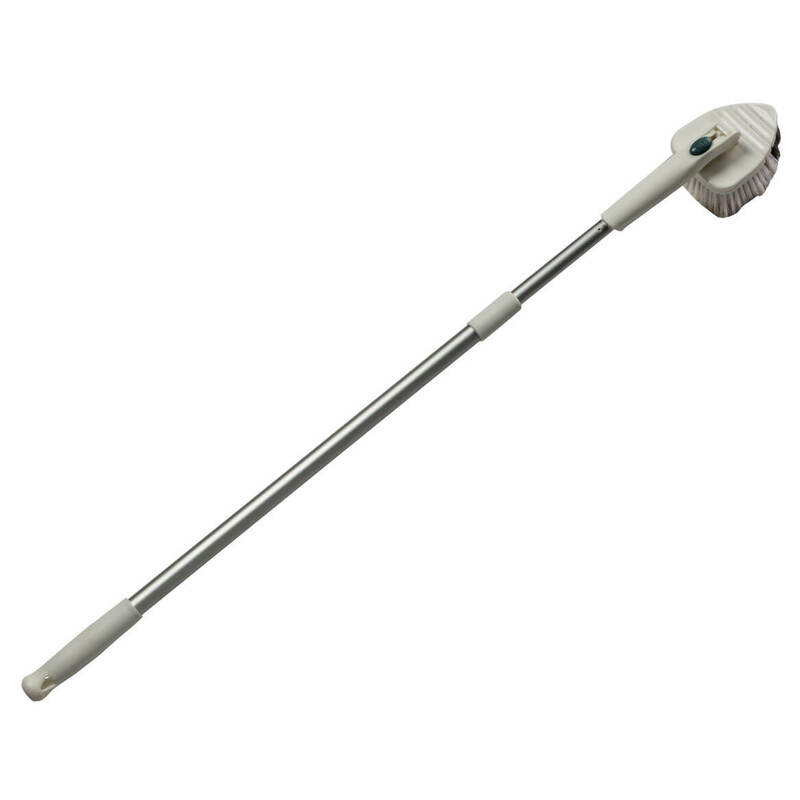 Telescoping scrubber with removable head features an adjustable metal pole and durable brush head with pointed tip to reach into corners. Pivoting tile scrubber brush can be locked into 2 positions and is removable with the touch of a button to clean tight spaces. Pole length adjusts with a simple twist to lock and unlock, extending from 31 3/4″ long–50 1/2″ long. 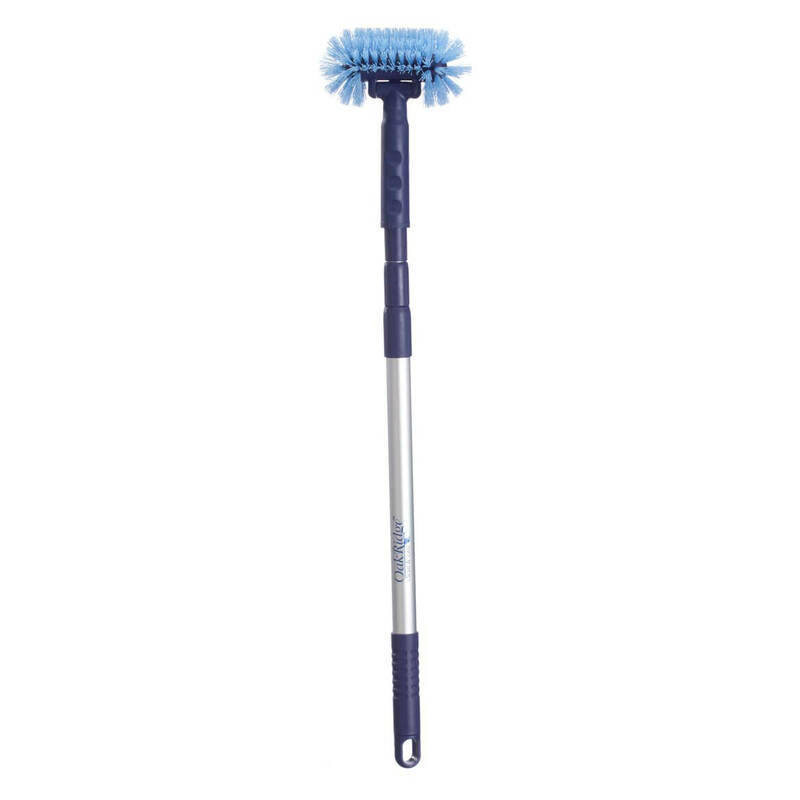 Tub cleaner brush head is 5″ long x 3 3/4″ wide with 1 1/4″ long bristles. Durable plastic and aluminum. Imported. Refill head sold separately. Electrostatic dusters attract and grab onto dust and debris, even the stuff you can’t see. Versatile Miracle Duster Trio set includes 3 sizes of ultra-soft dusters to keep your home clean and healthy without chemical sprays. 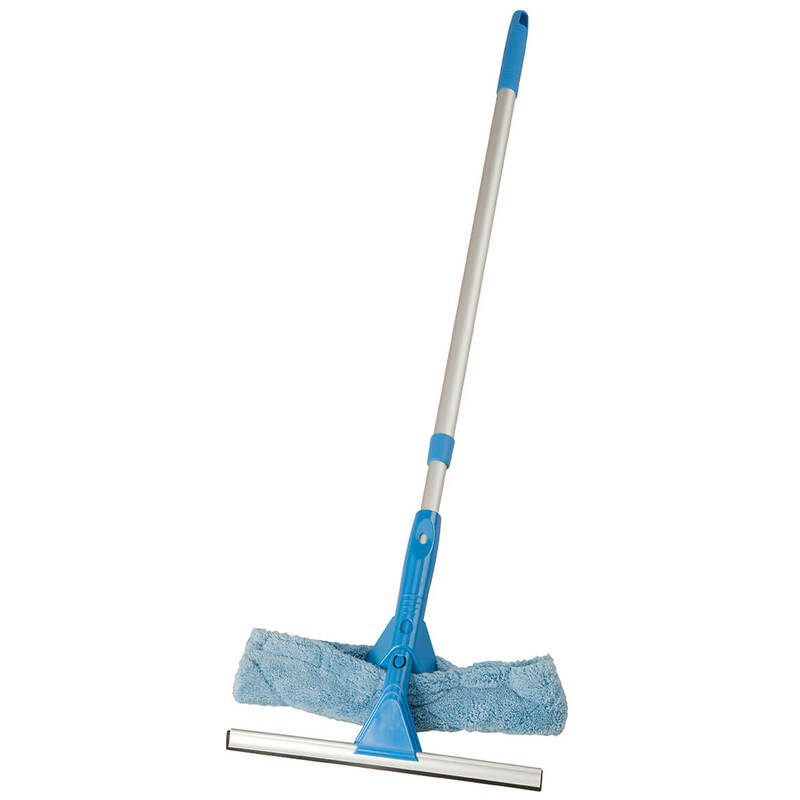 The telescoping duster features a flexible head and extends from 28″–43″ to reach ceiling fans, light fixtures and more. 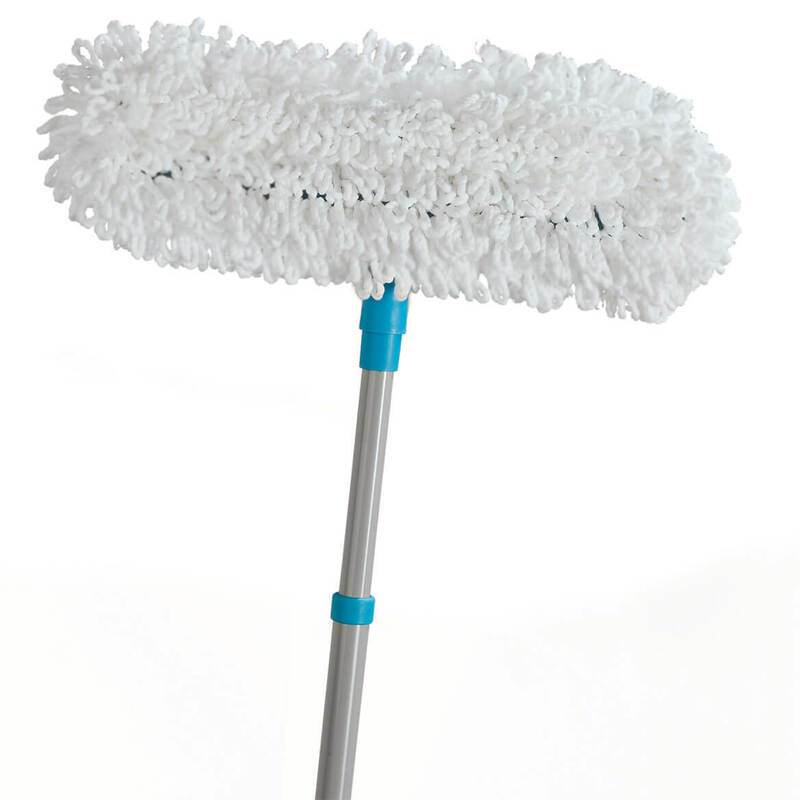 Flexible-head 25″ duster tackles shelves and furniture, while the 9″ mini duster is perfect for smaller items. When finished, simply shake outside and hang by their built-in loops.